It's estimated the number of things connected to the Internet will reach 50 billion by 2020. 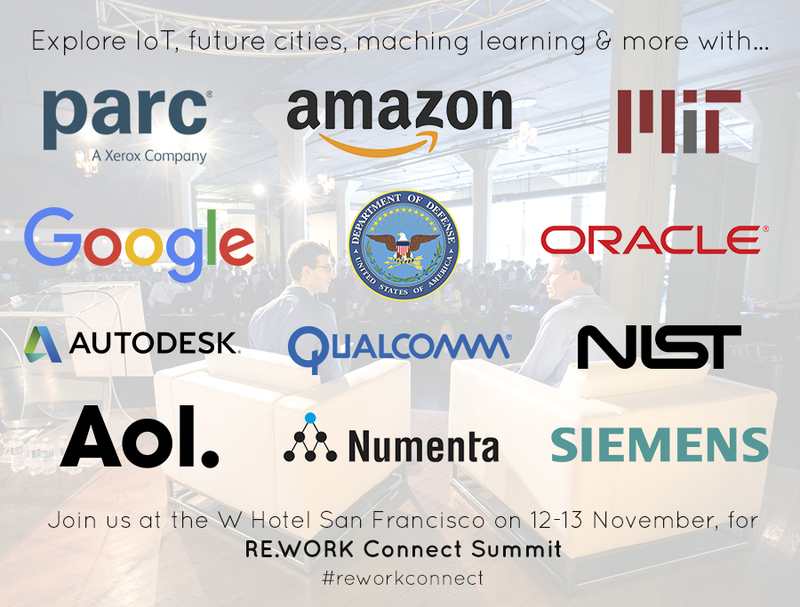 At the RE.WORK Connect Summit in San Francisco, November 2015, we will explore the opportunities of emerging trends in IoT as well as how we can use the huge amounts of data generated by an increasingly connected digital world. Hear from experts in IoT, the connected car, wearables, smart textiles, quantified self, smart factories & much more from the world's leading companies & innovative startups. Explore the convergence of software and hardware, as the physical and virtual worlds collide. RE.WORK Connect Summit is just 1 month away! The last event sold out so book your place now to avoid disappointment. For more information and to register, please visit the event page here. For further discussions on Internet of Things, Wearables, Connected Devices & more, join our group here!